The day you tie the knot is one of the most amazing days of your life. We pride ourselves on offering a floral service with real attention to detail. 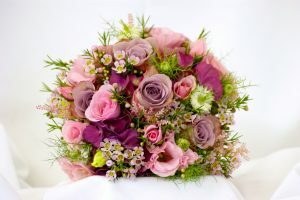 Remember we’re passionate about flowers and design and we’ll spend time taking you through all the choices and get an idea of the feel you wish to experience. Don’t worry if you haven’t a clue, we’ll bring along portfolios of wedding work to show you the many different choices available. From the time we first meet to the big day when we deliver your bouquet and buttonholes, set up the church and venue, we’ll make sure you feel special.